Pure Romance recently awarded well-deserved makeovers to select Consultants as part of its “Professionista makeover program.” It was a very powerful experience to watch these successful business women, who give so much to everyone else, finally take time to give back to themselves. Pure Romance Senior Director, Stacey Cash, was one Consultant who really understood what it meant to be a Professionista. She knew being a Professionista was about more than just dressing better, it calls for an entire transformation, inside and out – it’s giving one’s self permission to feel beautiful and be empowered to make change for the better throughout life. Stacey hit the nail on the head when she wrote me a letter after some intense soul searching and said, “The whole transformation of being better starts with acceptance within ourselves that change is necessary; change can come in the form of many different ways – for some it’s eating better, for others it is positive self-talk and some may just need to be reassured that they are enough!” Stacey looked deep within herself to identify negative behaviors and patterns that have long hindered and crippled her. 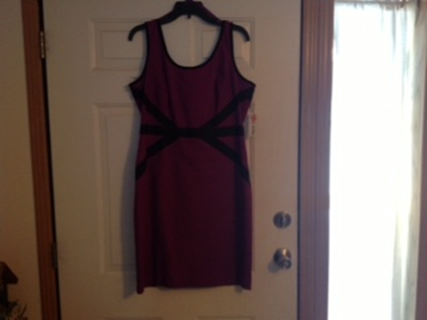 Below is a photo of the dress she has purchased for 2014 World Conference, yes, a year away! She is hanging it up as a reminder that she has overcome the obstacles and past. After participating in the Professionista program, Stacey felt it was the 1st time in her life that she had truly cared for herself. We all wear so many hats in life: wife, mother, daughter, sister, friend, business woman. If you don’t take the time to do something good for yourself, what are you telling other people? You’re saying you’re not worth it. Do you want to be remembered as someone who never took time for herself? By paying close attention to the image you wish to express to the world, you are painting a more complete picture of who you are. I can’t tell you how many times I’ve seen successful women give, give and give until they have nothing left. Below are some of the lessons I’ve learned over the years when it comes to creating a positive self-image – because despite what many think, Professionistas aren’t born, they’re made. 2. Step out of your comfort zone. I’ve always believed that our journey on this earth is to always do that which makes you uncomfortable. For instance, I always hated the thought of being a public speaker, but if I wouldn’t have challenged myself to push past that fear, I would never have been able to pave the way for hundreds of thousands of consultants to find their own paths to success. The same goes for fashion: it may feel a bit strange pushing yourself when it comes to trying new styles of attire, but this is all a part of growing as a person and a business woman. 3. Shop with people you trust. Ever notice how some clothes look a lot differently in your bedroom mirror than they did under the glorious lighting of a retail fitting room? When shopping, make sure you have a friend, stylist or sales person you trust who is looking out for your best interest. Find someone who will be constructively honest with you at all times. 4. Use secret weapons. I tend to agree with Oprah that Spanks are a girl’s best friend! Heels/wedges, color (hello, black!) and details like ruching are just some of the fashion tricks women have been using for years to look their best. 5. Shop smarter. It’s easy to say money is the answer to everything, but there are many ways around the system: shopping at business-focused consignment shops, taking advantage of special discounts at places like Nordstrom Rack and buying quality off-label vs. high-end designer items. I had a friend who would hold “Trash or Treasure” parties where everyone would get together and bring cute clothes that no longer fit them to swap and shop in other friends’ closets. 6. There’s a time and a place for everything. 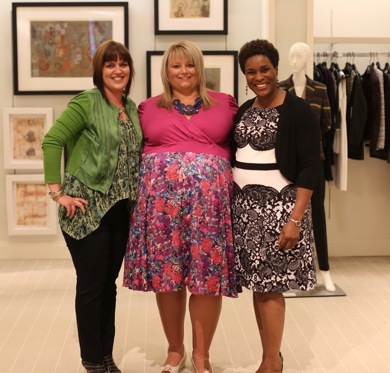 Before becoming a Consultant, I always wore uniforms so it was a challenge for me to start learning the process of how to dress for business. I knew it was going to be hard work finding the right clothing and getting things altered for my body type, but I also knew it was necessary. When I walked in to do a party, I was ready to work. I knew that this wasn’t my party I was going to, and I wanted to dress professionally to earn their respect. Many consultants are afraid of being overdressed for their parties – I believe there is just no such thing. This can best be summed up by my friend who manages a business in the nightlife hospitality industry. He always stresses to his employees to dress professionally and says, “You’re not going to the party, you’re providing the party.” How would you feel if you had an appointment with your gynecologist and he walked in with cargo pants? Enough said! 7. Beware of “Mom Jeans.” “Mom Jeans” represent complacency. It’s when you wear sweatpants everywhere because it’s just so much easier. I was a busy mother of four – I know all about being comfortable amid a hectic lifestyle! However, like Sky, another Platinum Professionista discovered, we have to take some time for ourselves once in a while and remember how it is to feel beautiful. My friend’s 91-year-old grandmother would get dressed to the nines just to go to breakfast, matching earrings and all. Although, this is a trend of an older generation, it’s refreshing to see that she saw her dress as an extension of her inner beauty. 8. Define your style. I’m not here to push my view of beauty on anyone. Barbie Dolls or Victoria Secret Models are not the definition of beautiful. It’s up to you to define what makes you feel like the most beautiful woman in the room. In the early years of Pure Romance, my son and Pure Romance CEO, Chris Cicchinelli, always felt I should wear pants because it was perceived as “professional” in the business world. I learned through my own self-discovery that I’m just as effective wearing a dress or pants, and also embrace my feminine side in the office place. Subscribe to fashion magazines and browse fashion on platforms like Pinterest to figure out your unique style. 9. Make it look effortless. Consultants often compliment my fashion sense, but there were steps that I’ve taken to get where I am today. I’ve always had to push myself. To this day I still use a stylist. I’ve had a good deal of practice with business clothes, but still get unsure when it comes to casual attire because I’m just no good at it! People think I’m a natural because I make it look effortless, but making it look easy and putting time in behind the scenes are two different things. 10. Evolve. Fashion is fun, but don’t ever let clothing DEFINE you. We are always evolving. I went through my 70s Hippie stage and spikey bad hair days in the early 90s. Everyone has those old photos that they look at and say, “Oh, my God! What was I thinking? !” As long as you are always a student of fashion and have a good sense of self-awareness, you will continue to grow and change with the times. And don’t forget, when you do find something you love, don’t get too attached to it. Some outfits might work again next season, but some need to be retired. It’s up to you to figure out when it’s time to move on from one trend to the next, and continue being a Pure Romance Professionista. One Response to "10 Ways to Discover your Inner “Professionista”"